A basic introduction to human rights, this booklet outlines their development through history, up to the present day. It also introduces the world’s most important human rights documents and includes the full text of the Universal Declaration of Human Rights. 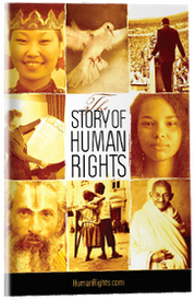 Request your FREE booklet, The Story of Human Rights.